Eeks!!! Day 3 of Sneak peeks for this month's TSG release. WOWZA!!! So much fun!!! No sweeter treat, or better way to Enjoy Life in the summer time than an ice cream cone, am I right? Well, Torico has made a FABULOUS set of mix and match patterns of ice cream, and their cones, for you to custom make your own YUMMY treats! And even better, we have custom made our own Die’s to go along with this FABULOUS set!!! They are a set of three dies including two ice cream tops, measuring at approximately 1 1/4" and 1", and one cone measuring at 1 1/8". 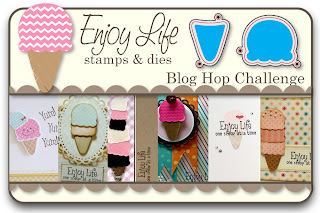 For my card, I have used both the dies and stamps from "Enjoy Life". I stamped on the brown and pink DP in Versamark ink and then embossed with clear embossing powder. Both were then cut out using the co-ordinating dies. LOVE them!!! The Enjoy Life dies will sell separately for $8.25. 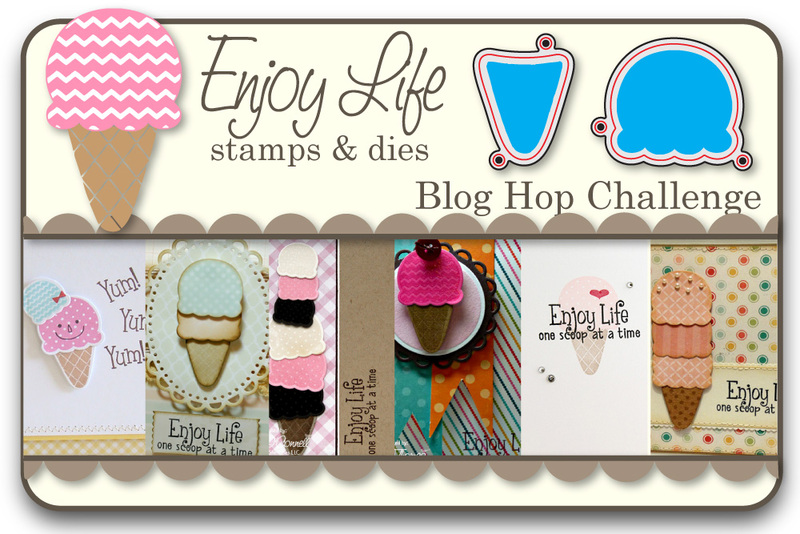 Would you like to win the new Enjoy Life stamp set and matching Dies? Here is what you need to do- visit the Trendsetter’s blogs that are participating in each of the blog hop challenges below and comment on their creations as you go. One of the Trendsetter’s blogs (from each hop day) will be randomly chosen as the ‘it’ blog and a winner will be picked using a random number generator from the comments left on that Trendsetter’s Blog Hop Challenge post. Yummy creation!!!! 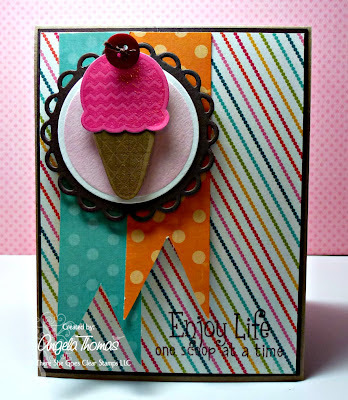 The colors are perfect and what fun having die that cuts out the ice cream cone!!! Love it! Great card. I *love* that striped paper! How cute! Fun Ice Cream colors. YUM! I can almost taste it. So sweet! Love the pink of the ice cream! Such nice bright colors, cute! Oh, Angela! 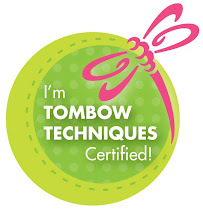 I'm loving your "cherry" button! So cute! So fun! Love the bright colors and the sentiment is great. Love the matching dies. Love the fun colors and patterns. Cute ice cream cone and love the banners. Such a delightful and yummy card! What a great card. Perfect colors. This is just so stinkin cute! I love this new set! Oh my....I knew I should not start hopping! now I know I want this set and die!! The ice cream is such a cute focal point. I like how you backed it so it really stands out. super cute and yummy! yum yum yum slurp! Darling card! I love the fun colors! A great way to enjoy summer! Love the way you've placed the items on the card! Totally brilliant - I gotta have this set! Great sentiment for your ice cream card! this is such a cute set for the summer. i also love the sentiments! Your card is adorable. Love the ice cream cone. amazing idea. It turned out great! Great colors.. so fun! That little ice cream is adorable!